What was old is new again - we've all heard the adage. With that phrase in mind, we present the newest addition to the Fortis Aviatis line: the Pilot Classic Series. A striking feature in each new watch in the Pilot Classic Series is a vivid blue seconds hand. The Pilot Classic features a matte black dial with white hands, numerals, and accents - all coated with Superluminova. A quick-set date can be found at 3. A key feature of this model is its versatility. This watch will look great from casual to formal dress attire. 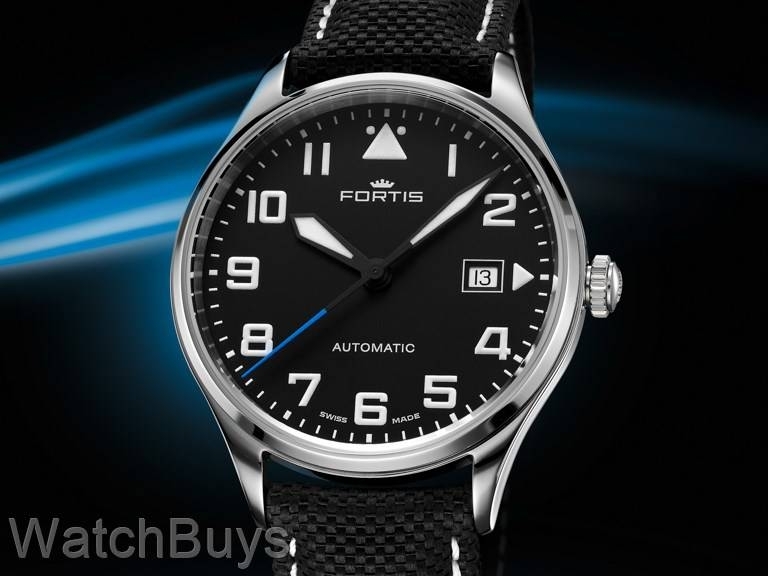 Housed in a 40 mm, polished case, the Fortis Aviatis Pilot Classic is both lean and sleek. The luminous triangle at 12, a staple of Fortis watches regardless of style, is front and center on this watch. The block-style, retro numerals stand out against the black dial and work well with the sword hands found on the watch. A brilliant blue seconds hand gives the Pilot Classic both character and color. 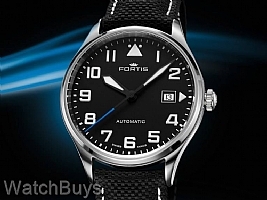 The new Fortis Pilot Classic Series is off to a great start with this new model.